It’s Crossmas in November. Ritchey Design has logically paired up with Cyclocross Magazine to host a Crossmas giveaway. 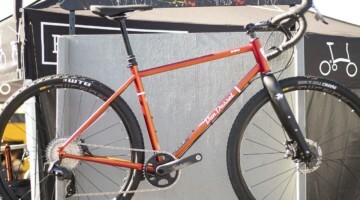 FIVE lucky readers will upgrade their steeds with the latest gear from Tom Ritchey and his team. The Ritchey Streem II Handlebar is a lightweight, 235g handlebar that cheats wind, sheds mud and gets you to the podium. 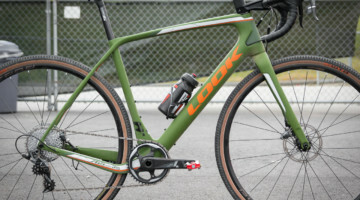 It features an extremely aggressive wing-shaped top section that saves watts while performing an incredibly comfortable hand position for cruising uphill. The drops feature a traditional bend-the choice of many Ritchey-sponsored pro riders. 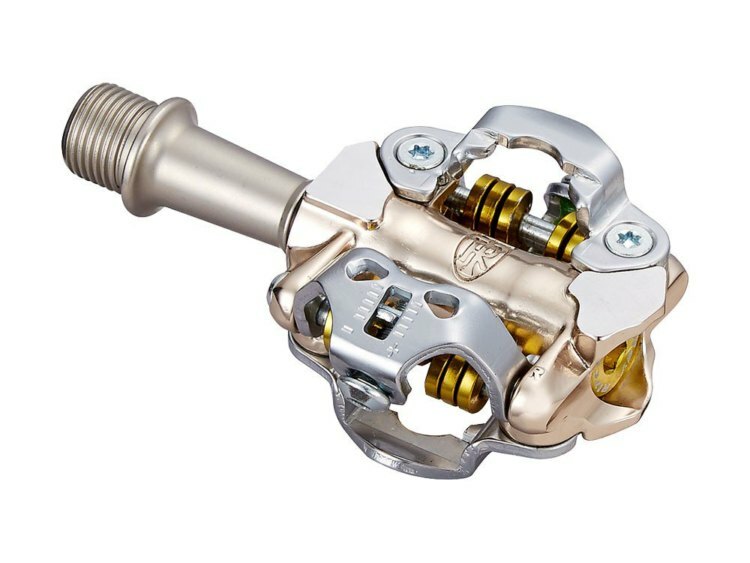 Ritchey’s world-beating Paradigm pedal has been redesigned from the ground up. A new engagement system with a fixed front claw now provides best-in-class entry and release and excellent mud-shedding characteristics. The axle system has been revamped for even greater bearing life while achieving an even lower axle-cleat height than the previous design, and a wider body improves stability. A classic for ‘cross racers and gravel riders alike, and now available tubeless ready, the Speedmax is back and better than ever. 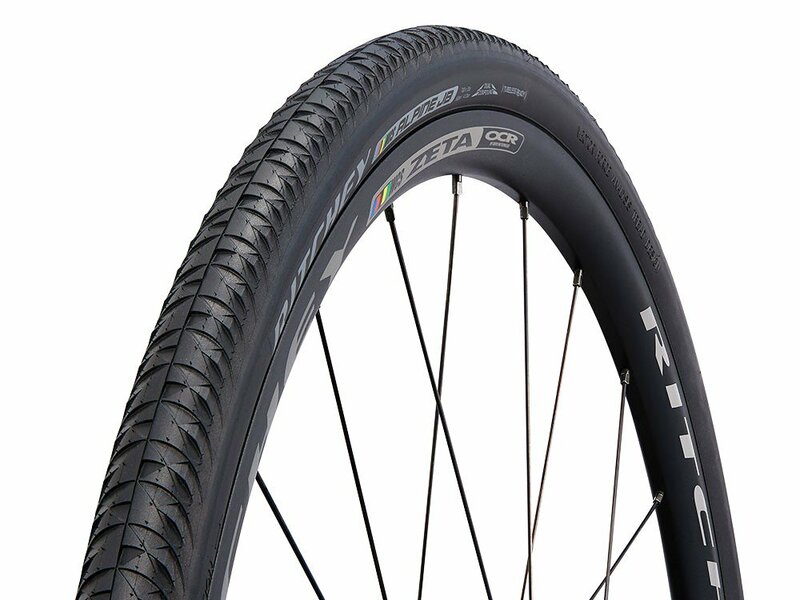 With a remarkable ride quality and low rolling resistance, this all-rounder tire is the perfect choice for all-terrain exploration. This unique bicycle tire is built to ride wherever your two-wheeled journeys may take you. 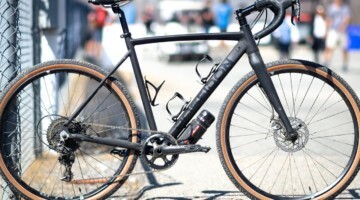 It rolls beautifully on all-day rides along smooth country roads, yet it has enough tread to gracefully navigate roads with minimal municipal maintenance or long stretches of gritty gravel. 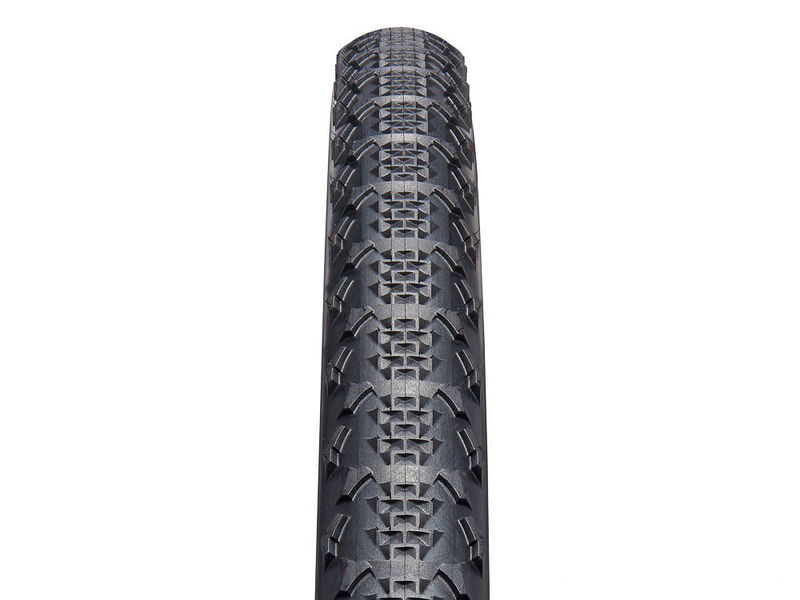 The Alpine JB (named after the late Jobst Brandt) enjoys a 120 TPI casing and employs the unique VFA tread design – a pattern that’s mostly recessed in the rubber of the tire, rather than relying on protruding knobs more commonly found on such tires. 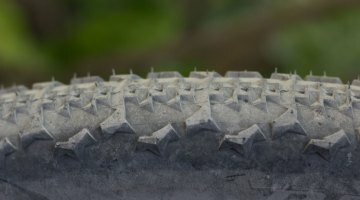 Thanks to the inverse tread, rolling resistance is smoother compared to traditional knobby tires, yet grip and confidence remain inherent features. An added benefit is that the Alpine JB is more durable because there are no knobs to wear down. 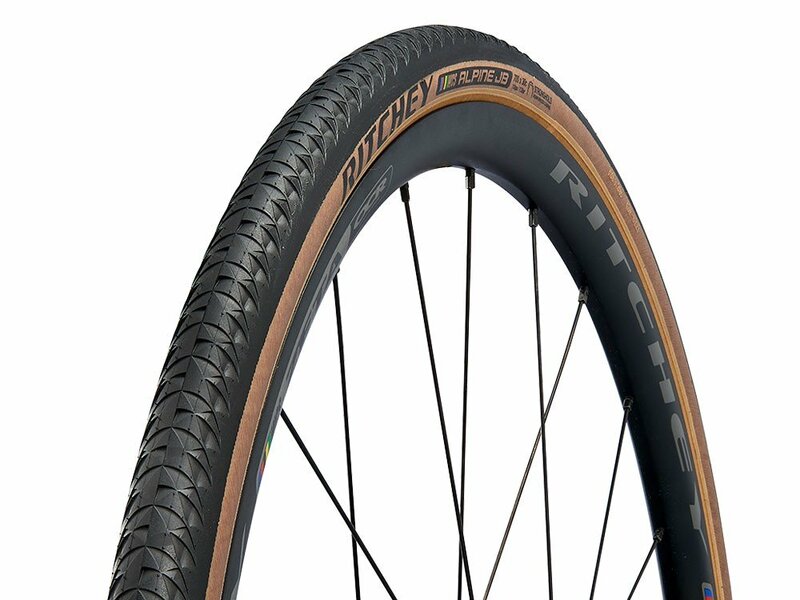 Want a narrower, tan wall version of the Alpine JB tire, and don’t need to go tubeless? The 30mm version is what you’ll want to roll on. Same tread as the 35mm version, with a retro look. 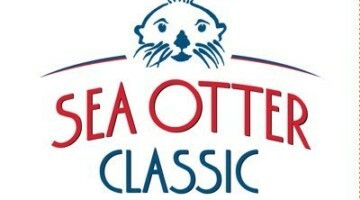 Enter below and earn more entries by spreading the word. 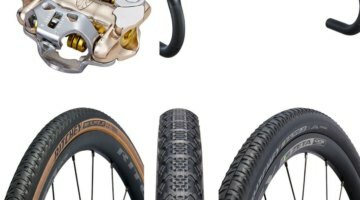 Learn more about these products at RitcheyLogic.com.